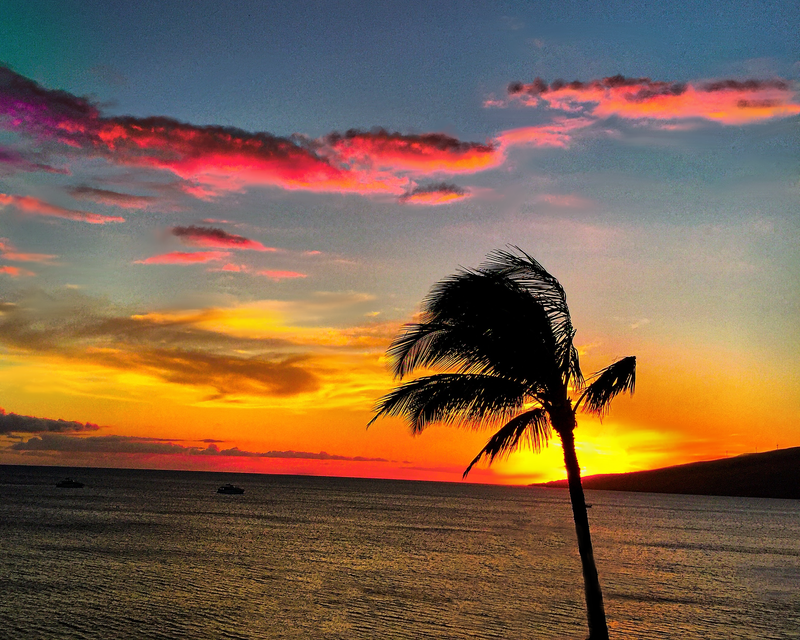 Maui sunsets are so beautiful and peaceful. We look out at the quiet bay where we are and watch the sun set slowly into the water. Not all nights is it this bright. So, I admit that I have lent it a hand with one of my favorite photo apps, Enlight. This painting is one I started before I went to Maui, last October. It has sat, waiting patiently for me to finish it. I find that it is often hard to go back to a painting that has waited for me for a long time. My painting style, to me, feels like it changes a lot every month. To go back, sometimes, feels odd. It’s like, I’ve been here, I’ve done that. I want to move on. But, I also don’t like to leave a painting unfinished. So, finish it, I did.